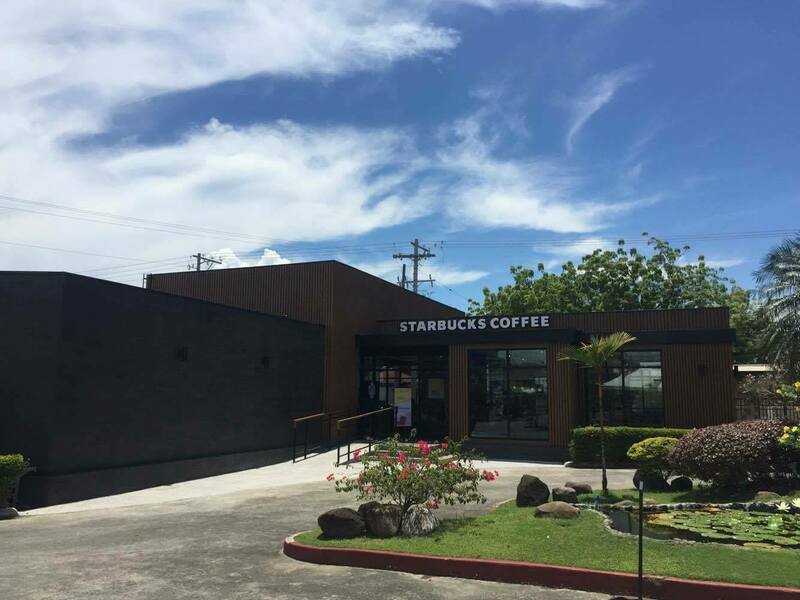 When I heard from a friend that Starbucks is building a new branch in Davao City, specifically along Torres St., I was in pure excitement because it's near our house. It is the first stand-alone Starbucks store in the city and they are offering different brewing methods for your coffee. To fully understand and appreciate coffee, one must experience how it is made. This is exactly how one can truly experience the distinct characteristics of coffee. Taking the coffee experience to a whole new level, Starbucks in Torres St. has a Coffee Experience Bar where Baristas can demonstrate different methods in brewing your coffee. 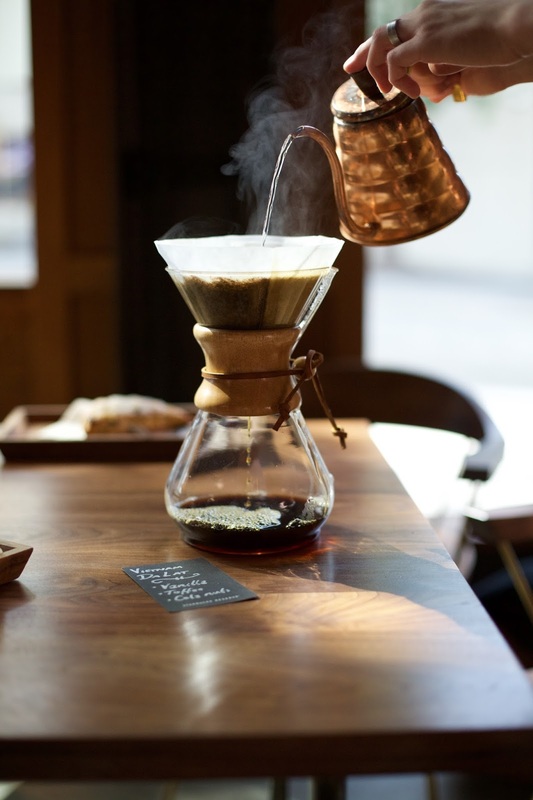 Upon ordering, customers can choose from Siphon, Pour-Over, and Chemex brewing methods for their cup. You can watch the Starbucks Global Coffee Master make the coffee in front of you like you are in a chemistry lab. "Our newest store in Davao City fully showcases our passion and experience in coffee. 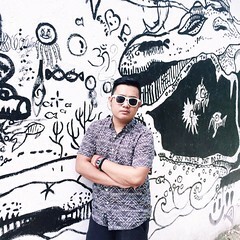 Now with the unique Coffee Experience Bar, we can share our passion with those who want to learn more about the different brewing methods that bring out different flavors of the coffee," said Keith Cole, head of marketing for Starbucks Philippines. The different methods highlight different characteristics of coffee. To bring out full flavors, you may want to try the (Insta-worthy!) Siphon brewing method. Unlike the other methods, this uses halogen lights or butane flames to produce heat for boiling water and the movement of coffee through chambers. Vapor pressure pushes water upward to brew coffee in the top glass globe, then filtered coffee cascades back down into a glass carafe. This fascinating process makes a rewarding cup for those who enjoy well-defined flavors dominating the coffee. For those who want to accentuate the distinct flavors of the coffee, you may use the beautifully simple and accessible Pour-Over method. The ceramic cone holds heat well during brewing and produces consistent, clean and flavorful coffee. By far, this is the go-to brewing method you could easily replicate at home aside from the classic coffee press. Meanwhile, for a rich-bodied and flavorful cup of brewed coffee, you can use the Chemex method. brew, and then filtered at the end. The Chemex amplifies the coffee’s body but produces the cleanest cup with complex flavors, meaning, no single characteristic will dominate and will eventually wash away clean. 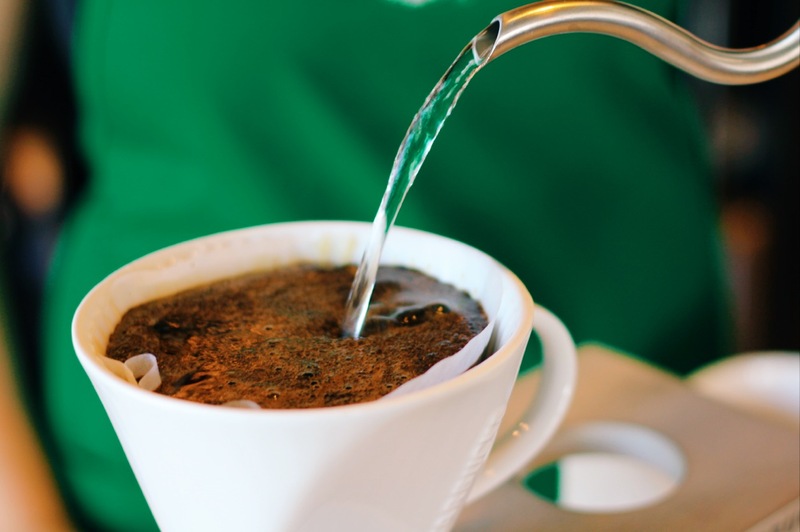 Visit the Starbucks Torres Store today and try these brewing methods. Let me know which you prefer the most, okay? Also, I dig the design of the store especially the exteriors. IT'S INSTA-WORTHY!